I was amazed to see the huge list of file types that Media Convert supports. It seems like almost any type of file conversion you could want can be accomplished through its web-based interface: text, images, videos, and audio. 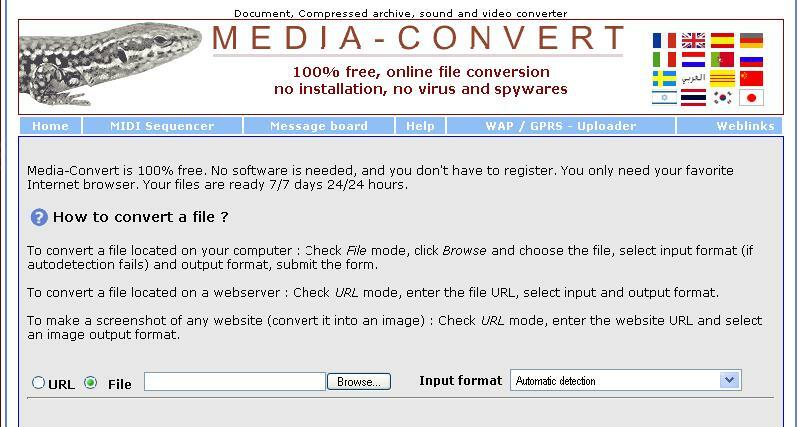 You simply upload a file or input a URL and choose the type of conversion you want done. Some interesting conversion suggestions I saw on the site include converting a PDF to a SWF Flash file for easy viewing on a webpage, capturing a website as an image (essentially screen-capturing it), and converting text to morse code.